Pass the tippet through the eye, wrap it around the running end, and pass it back through the loop to make a half hitch. Continue around and back through the loop a second time. Tighten carefully so that the tag end is enclosed by the knot against the eye. Trim the end. Origin: The Davy Knot was created in the 1950's by Davy Wotton when he was competing in the Welsh Fly-Fishing Team. 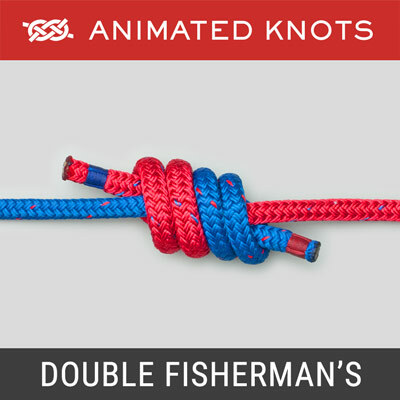 He was experimenting to find a knot which he would be able to tie extremely quickly – which makes a lot of sense: less time tying knots equals more time catching fish. 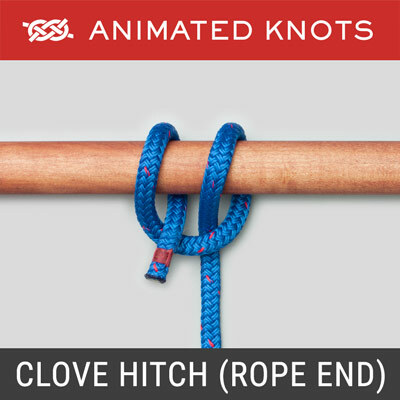 Tying it: The animation shows that the Davy Knot initially forms a half hitch around the running end. 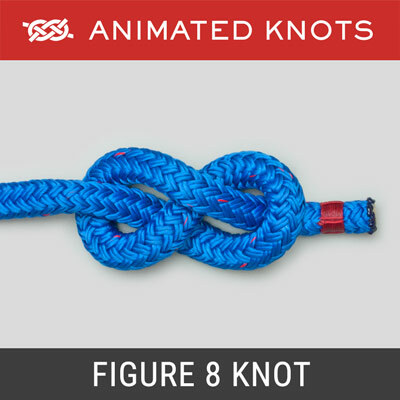 It is all too easy to mistake the next step as creating a Figure 8 Knot. 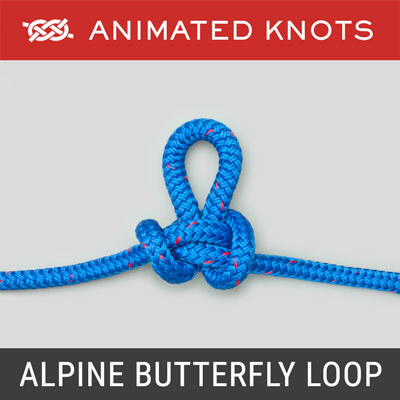 However, carefully making a Half Hitch first prevents this and also creates the loop required to accept the final pass. Tightening it: Many writers describe tightening without lubrication; the knot is so small and simple that there is little friction to generate heat. With care, the running end can be used to tighten the knot leaving the tag end so short that trimming may be unnecessary. Although it may be easier to do this gripping the tag end with your teeth, Davy himself advises against doing this because of the risk of bacterial contamination in too many lakes and streams, particularly if there are beavers or rats present. Positioning the Tag End: The tag end must lie against the eye under the knot. If the tag end slides away from the knot towards the center of the eye, the knot holds much less well. Relative Diameters of Tippet and Eye Wire: If the tippet is too small compared to the diameter of the wire, the knot cannot grip the final tuck: a load spreads the loop open and releases the tag end. However, this can often be solved using one more tuck to create the Double Davy Knot. Advantages: The Davy is small and economical. With practice it can be tied using up only a smallest amount of tippet length. It can also be tied extremely rapidly, even in cold and awkward conditions. It has been claimed that the Davy is extremely strong by comparison with other knots; that may well be true. Claims that it retains 100% of the line strength must be false. Careful tests suggest a much smaller percentage, e.g., around 50 - 60%. 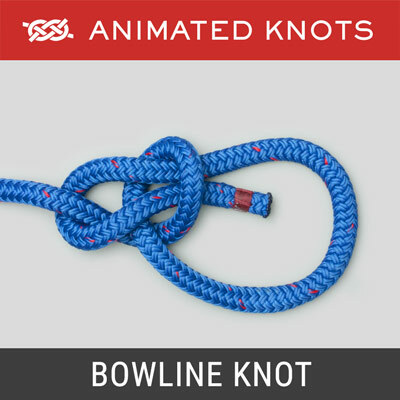 Davy himself says it is "a favorite knot for those who compete in International Fly fishing competitions." 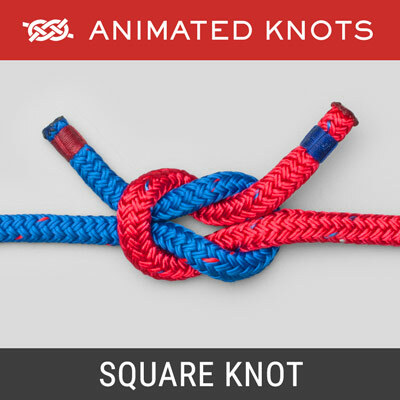 Disadvantages: Some users have found it holds very poorly when braided line is used, but this problem too may be solved by using the Double Davy Knot.